We respect your privacy. Don't forget to verify your email after subscribe. Khamma Ghani Saa !! Mera naam Mahipal Singh hai. Main is blog ko manage/own karta hu. Main ek simple, truth loving, work dedicated, Electrical engineering graduate (B.Tech.) person hu. Main Jaipur ka rehne wala hu. Main ek student hone ke sath part time blogger bhi hu. Mujhse judne ke liye meri social profile join kare Facebook, Twitter, Google+, Instagram. In your article I am not finding "Raghuwanshi", a part of "Suryavansh" and details are available in Ramayan of Maharshi Valmiki, Ram Charit Manas of Shri Sant Tulsi Das and Shri Raghuwansham of Mahakavi Kalidas. Now a days Raghuwanshis are found in 60 to 70 percent part of India ( They may be rare on many parts of India but spreaded in MP, UP, Uttaranchal, Rajasthan and other hindi zones, also in some locations of south, but it is requested to analyse the case and try correction in this document. Thanks. The Name of " Raghuwanshi" must be in the list of Suryavanshi. This is to say as above detailed. Rathor is in list however Gaharwar is missing. Chohan bhe suryavansi se belong krte hai....or esme jwala maa ka khee bhe nhe likhaa.. PLEASE EXPLAIN ABOUT KSHTRIYA CHANDERVANSHI. thanks to all hukum and banna for your suggestion. me bohat jaldi aapki info update kr duga. abi kam ki vayast-ta ke karan nhi ho pa rha hai.. I am from Bhundela and its present in your list but just wanna thank you for this initiative brother, Keep up the good work.If you get any details about Bundela just post it. I think you do not know about this but let me explain Raghuvanshi and Rana both claim themselves to be the descendant of Lord Rama so they both are same only difference is that after fall of Maharana Pratap some of his family members along with other rajput clans shift from rajasthan to up, mp etc. and to show themselves different from Rana they started using title Raghuvanshi. shekhawat weds rajawat is it possible ??? somebody help me is there any solution of it ?? चंद्रवंशिय सम्राट चंन्द्रगुप्त मौर्य के वंशज. छत्रपती महाराज शिवाजी राजे भोसले जी के जन्म पुर्व इनका राज था. उन्होने ईस्लामिक हल्लावरोसे ईस प्रदेश का रक्षण किया. राजा शंकरराव मोरे जीनोने बहमनि सम्राज के वजिर महम्मद गवान और उसकी 15,000 पठानोको ऐक रात मे गनिमी कावा ( गोरिला वॉर ) युद्ध प्रणाली का उपयोग करके सिर्फ 700 सैनिकोकी सहाय्यतासे मारडाला था. ये युद्ध शिवाजी महाराज के जन्म के 150 वर्ष पूर्व हुवा था. बादमे छत्रपती शिवाजी महाराज के स्वराज्य निर्माण कार्य के वक्त उन्होने ये राज जित लिया. उस वक्त ये राज अदिलशाही सुलतान के मान्डलीक राज था. येये सब मिलकर ९६ घराने है. इसलिये मराठोंको ९६ कुली (कुळी) मराठा केहेते है. Chhonker rajput are main clan of karauli state.I don't know how these people .I mean admin. 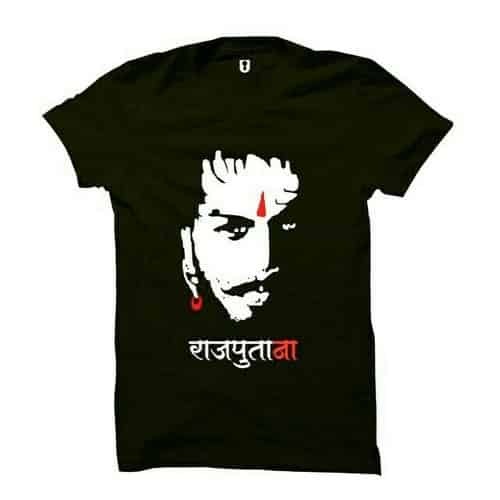 Of this.site is carrying it..
What is Gotra of Chauhan...AGNIVANSHI Rajput? Im a warrior brahmin as per i studied about the kshatriyas and warrior brahmans we have same gotras of rishis like mine is bhardwaj so many agnivanshi rajput have gotra bhardwaj.. so the thing is the son of a great rishi who have power to hold the people and samrajya become kshatriya but he carries his gotra Becs his ancestors are great rishis.. so the thing is that kahina kahi brahmins or kshatriya ek hi hain u can read..
Bargujar (called Badgujar in Maharashtra) is a Rajput clan of Suryavanshi lineage. plz koi ye bateye ga k WARYA rajpoot hain ya ni? No they both are kacchawahas having same gotra manavya . Its brother relationship as they are the deacendents of same . Will some one tell whether Makwana are from Jhala clan of Rajputs. Are they really Rajputs? If yes, then which part of India they are found. Unfortunately it is not possible . Rajputs never accept inter caste marriages. Waryah also spelt as baryah, varyah,warya,barya, varya, baria, waria, varia . The King Vinaypal Waryah, who was a descendant of Vikramaditya, built the Fort Bhim Garh of Batthinda on the banks of the Sutlej in 650 CE and established his rule. This rule contained property from Bhatner,Lahore, Sarhind, Mandlik, Licchabadi, Thanesar, Bhadhaur, Dango, Peshawar, and most of Punjab including area bitween Ravi and Chenab called Sandal Baryah or Bari or Bar. This kingdom had two capitals, one at Bathinda and one at Lahore. Vinaypal's grandson Sandal had 7 sons Lakhanpal, Rattanpal, Nainpal, Jashpal, Satpal, Gunpal, and finally Gillpal whose descendants are the various Gill Clans in Punjab. According to Malwa history the last king of this clan was Jayapal whose grandson was killed by Mahmud Ghaznavi in 1008 CE . Thakuron me kareev 500 SE jayda sub clans hai . ancient Kshatriya ko new Kshatriyo ne peeche dhakel diya hai .aur sare post par khud baith gye hai .aur apne ko suryavanshi khte hai jabki Surya ke 3rd and 5th peedi me Dangi ,raghuvanshi,raghav etc clans huyi hai Jo aaj rather me count hoti hai .aur ye sabhi vedik kaleen asli thakur hai. Aajkal ke Jo thakur hai vo 10th centuries ke hai . Rathore Rajput –The Rathore are a major Rajput clan originally descended from the Gahadvala Dynasty in Kannauj in Uttar Pradesh. At the time of the end of the British Raj in 1947 they were rulers in 14 different princely states in Marwar, Jangladesh, Rajasthan, and Madhya Pradesh. The largest and oldest among these was Jodhpur, in Marwar and Bikaner. The Maharaja of Jodhpur is regarded as the head of the extended Rathore clan of Hindu Rajputs. Today the clan is numerous and spread over a wide geographical area. Many Rathores have pursued successful careers in politics. At the time of Todd’s list in 1820, the Rathore clan had 24 branches, including the Barmera, Bika, Boola, Champawat, Dangi, Jaitawat, Jaitmallot, Jodha, Khabaria, Khokhar, Kotaria, Kumpawat, Mahecha, Mertiya, Pokharan, Mohania, Mopa, Randa, Sagawat, Sihamalot, Sunda, Udawat, Vanar, and Vikramayat. Mri caste saini h.. Or mne bhot suna h ki hmari caste ka kucb link h rajputo k sth. Kuch jgh mne saini caste ko suryavashi rajputs me dekha h or kuch jgh aghnivansh me. Han Hmari caste te chauhan gotra jrur h (101%) or hm kshatriya b h.
Tum mjhe saini or rajputs ka link btao?? Kalhans ka ANG RISHI gotta hota hai. Ye Rajasthaan ke suryavanshi kul se hain. Mewar ke MAHARANA MOKAL Jo Ki maharana pratap se bahut pahle ke hain unki mrityu ke baad sisodiya rajputs up me shift hue. Aur waha maharaj SEHEJ SINGH ke baad Wo kalhans kahe jaane lage. Detail me dekhna Ho to OFFICIAL WEBSITE OF GONDA me ja ke history wala segment padho. Hokum..hme koi bta skta hai kya ki "Chauhan" kis Vansh se hain? Gotra? Kuldevi? Kuldevta? SURYAVANSHI RAJPUT.am proud of own caste.mo:9473152371. Banna, plz add more about Parmar Rajputs. I m one of the parmars from Bihar and my family migrated from Ujjain to Bihar. Maine suna hai ki Marathi caste me ek kul hai Pawar, jinki ancestry parmar Rajputon ke sath hai. Parihar Kshatriya ,suryavanshi hote h ya agnivanshi ?? Me chavda hu merk kuldevi harsiddhi bhavani he mera gotra kaunsa he ??? Hello, there are no details about the surname Chhasatia. They are suryavanshi and Gotra is Bhardwaj. 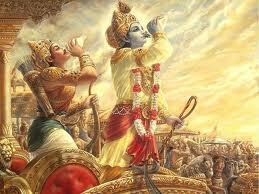 we are untainted( pure) decendents of lord Krishna . 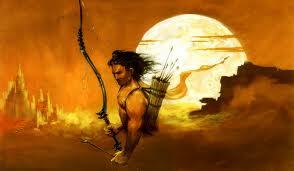 we have never made any other distinct clan from yaduvansh. May I know about sub caste of parihar. And sub caste where parihar cannot make relationship. Jai matadi hkm.!!! Me kunwar khumansingh kharwad rajput gav padawali, tehsil-gogunda, jila-udaipur, rajasthan. Hkm muje jitna knowledge he ki kharwad rajput yduvanshi me aate he aur is hisab se aapke is web site pe iska koi jikar hi ni kiya gya he.. I rajeev panwar and my roots belongs to rajasthan. Village babaie district jhunjhunu. My roots told me that we are chanderwansi. Is that true ? I have never been to my village and haveli . Similar Thakur sahib I also belong to jewar. tehsil (village Mundreh) My father joined the MP govt as astt.prof.in higher education since than we are established st Rewa(mp) Thanks for sharing the information about chhonker Rajput. You are right chhonker ,jadaun,singhel must be added in chandravanshi. Kuswaha aur kamkar(kahar) ,kachhwaha aur kans se rasifal ke aadhar par rajputane me ghuspaith karna chahte hai.WO Jo hai ohi hai rajput nahi hai. Yaha tlwaro se etihas banaye jate hai.bane baye etihas me rasi phal ke aadhar par ghuspaith kar ke rajput nahi kahlate. Sorry Pr galat information na do Bhai hm kshtriya rajputo ka brahmano se koi link nhi or jin gotr ki baat aap kr rahe ho WO rajputo k rishi gotr he jin rishiyo ko hum guru maante the unko respect dene k liye WO rishigotr hota uska koi or meaning nhi he baaki main gotr to yahi hote he Chauhan,Raghav,Tomar,Bais,tanwar,bhati,etc inhi gotro se saadiya hoti he naa ki rishi gotr se WO sirf 7 rishi gotr he Jo ki vats,gautam,sandily,kashyap,attri or do he or hamare asal gotr to 300 se upar he jinme se kuch upar mention he to khali ek bhardwaj ya koi or rishi gotr batane se aap apne ap aisa link up na banao WO rajgharane k rishi the to sirf isliye unka naam liya jaata he bus . Well Said... I think the important thing today is instead of trying to differentiate into different .... there should be a forum to think and take action to re-gain the glory of Rajputs. meri sirname CHAVDA he barot ne bataya ki ap ka vansh "- SURYAVANSH -" he or is me "-CHANDRAVANSH-" bataya he Too sach kish ka plz....muje batao ki me "" surysvansh "" hu ya fir "" chandravansh ""plz riply "" " BAPU """ "
Sabhi Rajput bhaiyo ko namsakar. My name is Vikram Rana.. Can someone please enlighten me upon Rana's Vanshavli, its gotra and kuldevi please. I would like to add something to your information hokum Gaur Rajputs are also part of Suryawanshis.And Gaurs are having many jagirs and major thikanas in Ajmer and Maroth region though my jagir belongs from Marwar.Please add it to the list. Jai rajpootana hkm hame ye gotra kashyap or surname tomar kisme aate he survansh ya raghuvansh ya other. Are bhai sahab list me to Bais bhi nhi dikha kahi. Him bhi Bais hai an ye batao ki him kaun se hai suryavanci ya Chandra vanci ya phir agnivanci..tell me at my email I'd amansinghbaish@gmail.com. Some Raghuvanshi Kshtriya migrated from Lohgadh and live settled in Gangetic area of U.P. and Bihar and due to Lohgadh they called as Lohtamia or Lohthambh Rajput. Kya aamyor rajput hote bhi hain ya nahi aur agar Haan to please inke baare main kuch bataiye. Anyone have any information about pachottar thakurs ? Plz help me to know about it. 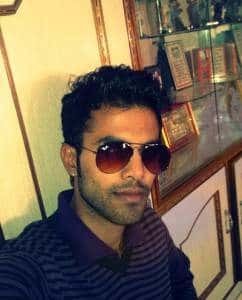 My name is manish sengar ..what is my gottra ??? Ek yadav Jo rajputane me hai, ek yadav Jo rajputane me nahi hai kyu? Kya daulat(economy) ke haisab se aur property ke karan apna vans bhul gai es liye? (Krishna ji ke kaliya nag ke mardan ke samay dewtawon ne sirf Krishna ji ko" Ahir " ki upadhi di thi. Me apse GUJRAT KE RAJWANSI KARMI KARDIYA RAJPUTO KE BAREME MAHITI CHAHTAHU. GUJRAT History talked to jise rajputone apna sir nahi jukay apni baheno ko mughal sata se bacha rakhane keliye anpni man mariyada mate text apyo jena badalama rajpotoni jamino (jagir)vapas aa gayi. aap rajsthanme inke bareme kya history se. khamma gani hukum i m bhanvar lal parmar village barkheda jagir dist vidisha m.p. i m under taking job m.p.p.k.v.v.c.l. jabulpur m.p. line man i m very proud of you to parmar vansh born. Vishwakarma Janala Family also from Sishodiya Vansha, they were migrate in Achham Nepal Since 8th Century. So we would like to kindly request please update the records of this in this list. Thank you. Jai mataji sa to everyone myself Thakur Santoshsingh Mertiya residing in mumbai. Please be in touch there is lot i want to discuss regarding metiya's. Pls help. Anybody know about the brahmi gotra?? Jai Mata Di!! Hukum tank Rajput k bare me btane ka ksht Karen thanks!!! Kya aise koi site ya koi aise agency hai jo rajput community ka authentic hone ka database rakhti ho, ya verify kerwa k deti ho. Samaj mai ho rahe galat ristho se bachane k liye iski sakth jarurat hai. Aane wali naslo ko hamare pardadosa k name bi yaad nahi hai, samaj ek galat disha mai move ker raha hai. Mujhe ek baat btaiye ki agr bhati aur jadoun rajput h to yadav kyo nhi kynki yadav bhi to yaduvanshi hai.plz solve my confusion. Is there any chitravansi rajput? BRO you forgot to mebtion kathi rajput's of kathiyawad in gujrat. My name is Suraj Siddharth Suryawanshi but I m Buddhist. Shakarwar aur sikarwar lag lag gotra hote h kya ? Ek raja the unke 5 putra hue 1 ka nam yadu tha or 4 ka mujhe ache se yad nhi to Yadu ko hukm diya gya ki tum apna alag vansh chalao Yaduvansh. Wo koi upadhi nahi hai.....aheer alag jaati hai...wo bs 1924 se yadav likhte hai, yadav kshatriya sirname tha bt ab koi nai lagata......so aheer dhire dhire use krne lge.....mahabharat ka mausul parv pura padho yadav aur aheer me antar samajh jaoge..
Hi, I am From Pune now, now my age is 48 yrs. And always says that he was a Mukhiya in Meerut Muniya patti Patla Niwari Uttar Pradesh. Can anyone guide me to find his birth place. maybe he worried about whole family. He died before 15 years. as long time passed no one is able to say anything about him. always he tried to forgot his sorrow. only this things with me. If anybody can help me out to get any clue i will be grateful. I am Kukria Rajput. And my ancestors lives in Ferozepur India. We have almost 8 villages in india and Pakistan both since 500 years to now also. I want to know my gotra(goth). So help me. They are Suryavanshi Rapjput....Found in Ghazipur, Ballia, Banda in UP and Itarasi in M.P. Bhati Rajvansh me Jaiswar Rajput Clan k vishay me vistrit Jankari Pradhan karein Kripya? Hi are u a bhardwaj rajput . Kripya apne sabhi rajputbhaio se bhedbhav na rakhe.vatlav ya unko nicha mat dekhai.hum sub ek hi he.so samaj neki kosis kare.jay mataji. any update on tesahiya rajputs who are from kaushal gotra and claim parihar decent. some guy named har pratap singh was two times mla in some constituency of allahabad district during 1970's. they have strong presence in and around pratap pur phulpur badshapur and scattered in allahabad jaunpur and varanasi district of uttar pradesh. i am a rajput whose ancestor migrated there as zamindars but we are in minority there and so are other rajputs while sounak mounas tesahiya pawar suvanshi are in majority. and for rajputs to emerge as significant political power i am exploring ways to have their contact with these so called local kshatriyas of that area and marriage happens to be the best way bt for that their ancestry should be clear. any input?? Rajasthan mei Mukeria rajput hote h kya? Mera Naam Vipul Singh Dangodara Hai. Me Gujarat Me Gir-Somnath Jille Se Hu, Jiska Purana Naam Junagadh Tha. Hum Bhi Kshtriya Rajput Hai. Humari Surname Change Huyi Hai, Meri Actually Surname Chavda Hai.. Lekin Ye Change Kaise Aur Kyu Huyi Ye Muje Nahi Pata.